Going Indie means going it alone, and doing it the hard way. 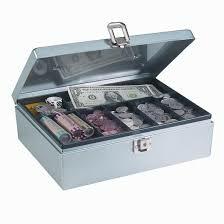 However–there are now small bands of indies coming together to help each other, and in the process, help themselves. 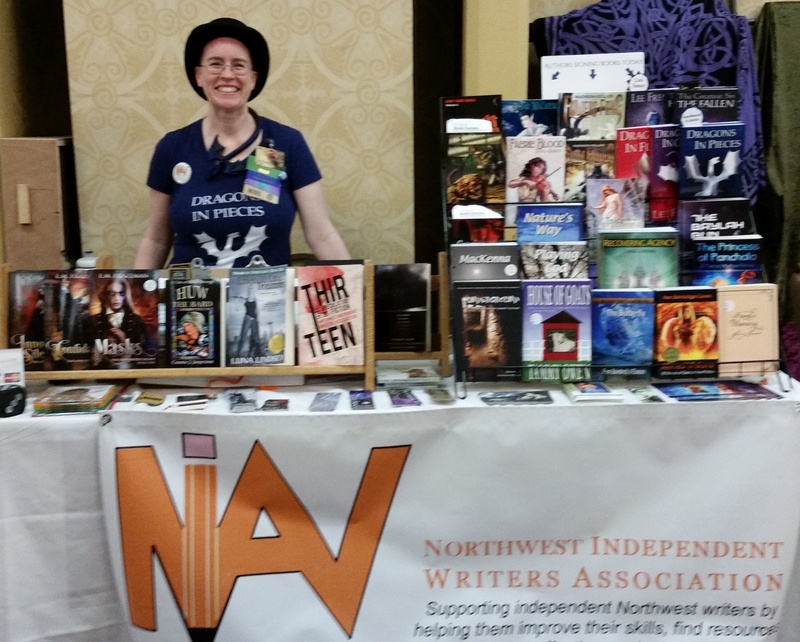 One such organization is Northwest Independent Writers Association, an organization of indie and small-press authors based in Western Oregon and Western Washington. We seem to be situated along the I-5 corridor from south of the Portland area north through the Seattle area. 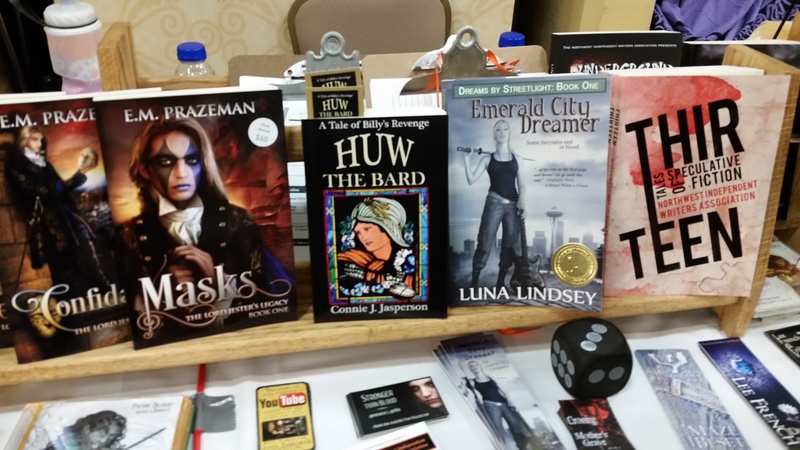 This last week I attended Norwescon, carpooling the first day with fellow Myrddin Publishing Group author, Lee French. She is an awesome person, as well as a wonderful, creative author. My book, Huw the Bard, was in the rack at the NIWA table, and I met some of the most wonderful people: Angela Korra’ti, Madison Keller, Jake Elliot, and Luna Lindsey were all there, manning the table and helping each person who stopped to find a book that fit them, regardless of if it was their own book or not–we were selling each others’ books as well as our own. I ran into my good friend, fellow NIWA member, Thomas Gondolfi , who was working his own booth. Saturday night, Lee, Jake, Angela and I had dinner with fellow NIWA member, steampunk author, Jeffrey Cook. My feet are killing me–today, I am not sure I will do it again, but I am glad I did this time. My view will likely change as I begin to feel rested again. 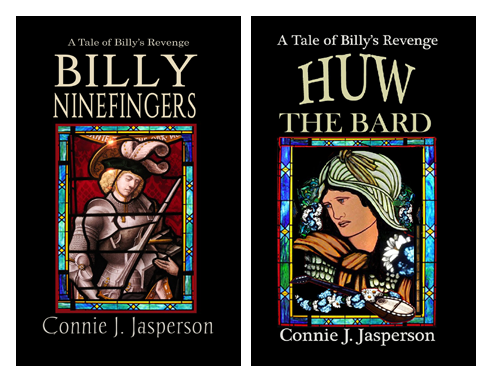 Huw the Bard was not a good fit for that venue–they were more into fairies and steampunk, which Huw is obviously not. However, I think he would do well at a ren-fair, as the people who were interested in him were all ren-fair people. 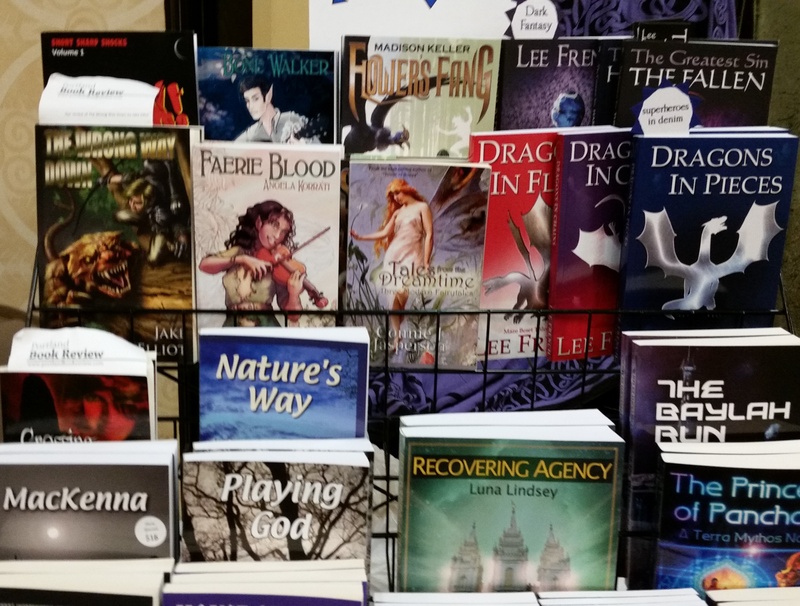 Most likely my best books for a gaming venue will be my World of Neveyah series, as it is RPG game-based, and gaming of all varieties is what Norwescon is all about. Standing in the booth for most of 4 days did me in, I do confess. I also was somewhat of a 5th wheel, in that the booth was too small for the number of authors who were there and willing to contribute their time and energy to the project. There was only room for 1 chair, and so we stood. I felt a bit unnecessary, at times, which is not a good way to feel, but they very kindly tolerated me. Angela Korra’ti has a knack for selling her books, and I tried to learn as much as I could from her. Jake Elliot and Lee French seemed to know what they were doing too–there is definitely a learning curve to pitching your book live and in person. 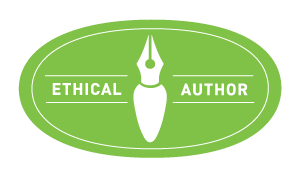 Being an indie author, or being published by a small press means you are on your own as far as getting the word out about your books. This means if you want your books seen at a convention, you have to pay for the table, buy your stock, and get the word out, because no one else will. It also means you must spend the convention in the dealers’ room at your booth, pitching your product to strangers, rather than taking in the panels and hearing speakers like George R. R. Martin. But I did see him in the lobby while I was getting coffee, and I saw many, many people who really love his work, far more than I do–and they stood for hours to get to see him. I would have loved to hear George speak, but I had books of my own to hawk. I never thought I would live long enough to be able to say that. This is where you discover that going indie means honing an elevator pitch that will sell your book in thirty seconds. That will be my next trick. This is also where you discover that the Sparco cash-box you bought, and that was not cheap, is nearly impossible to unlock, but it makes an awesome weapon if you are ever mugged on the way back to your hotel. Which I wasn’t, but I’m an author, and that’s how I think. It’s also where you discover that your target audience was not at that convention. Most importantly, this is where you realize that your poor old feet are just not up to you spending 10 hours a day standing on them. I understand there is some controversy regarding the Hugo award nominations–but I didn’t hear them announced, as I was trying to sell books. I suppose a shakeup is inevitable, and I will have to do some reading to find out for myself what the problem is, in the eyes of the reading world. That will be interesting–accusations of blocks of special interest groups gaming the outcome and such intrigue me, and I will definitely want to get to the bottom of that!